Imagine you are designing a product that will be used by several hundred million users within a matter of a few days. What do you think would be your topmost requirement? Usability? Reliability? 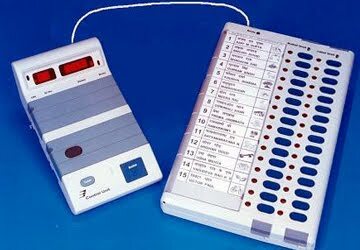 For Electronic Voting Machine (EVM) designed by Bharart Electronics Limited (BEL), it was “security”. In a country where the election story is never complete without rigging and booth capturing, this is not surprising. Last Wednesday we got an opportunity to listen to the EVM story from Mr. I V Sarma, Director R&D, BEL at the Innovation forum meeting held at IIMB. EVM was first introduced in a Goa state election and rolled out nationally in 2004 General Election. Security was implemented in EVM at three levels: Technical level (tamper-proof hardware and software design), operational level (security during voting process) and procedural level (throughout the deployment process). For example, the selection of EVMs for polling stations is a random process. Moreover, the machine has no operating system, no network and no external devices connected to it. Imagine a BEL product manager telling this with pride to a Nokia product manager! In spite of this, there were several court cases filed against EVM and it hasn’t lost any yet. For a detailed analysis on security of EVM and its possible loopholes, look at a recent study, “Security analysis of India’s Electronic Voting Machine” by Prasad et. al. presented at the 17th ACM Conference on Computer and Communications Security (CCCS’10) this month. Simplicity: EVM had to be used for diverse and many illiterate people. Ease of use was important. Hence, the design is kept as close to the ballot paper as possible. Similarly the operating mechanism is similar to the old style. A polling officer presses a button which releases a vote and then the voter presses a button. Reliability: It had to work in adverse weather conditions sometimes without electricity and should be light-weight. In fact, in the last general election the kit had to be carried on a 45km trek to reach a remote destination in J&K valley. The idea of EVM originated within BEL to automate an internal election. And then Election Commission picked it up. Guess what was the first hurdle it hit? Indian constitution didn’t permit electronic voting. So a bill had to be passed in the parliament! What kinds of enhancements are planned to EVM? One problem with the current device is that the voter does not have any way of knowing that the vote has been cast. The new version of EVM will have a small paper strip (2 inch x 2 inch) that will fall off giving a visual cue to the voter. EVM is currently being exported to Nepal, Bhutan and Namibia. Patents are filed both inside and outside the country to protect the IPR. So what is in the next big innovation coming from BEL? One is weapon locating radar and the other is software defined radio. Electronic voting machines may not be perfect. But this helps so much. Thanks for sharing!